In 2010, after losing a family friend to cancer, Giles Evans from Bedlington cycled from Newcastle to Llanelli, from ‘toon’ to ‘town’ to raise funds for the Sir Bobby Robson Foundation. It was the start of a series of charity events and activities under the Toon to Town banner, which have raised more than £55,000 in total for good causes. In addition to cycling, these include swims, runs, supermarket bag packing, golf days and charity dinners. Giles, a Detective with Northumbria Police, says: “It began with my 420 mile charity cycle from Newcastle to my home town of Llanelli. “I wanted to do something to remember my friend Joan Smith and it was tough doing it on my own. After that, friends decided they wanted to get involved too and all of us in the Toon to Town group have reasons to support different charities. “We’ve had tremendous support from all sorts of people and hope to raise £100,000 by 2015. That would be a fantastic way to sign off. Although I think the likelihood of us never doing any fundraising again is pretty slim. This year the Toon to Town team are raising money for the Sir Bobby Robson Foundation and Help for Heroes. In addition to what has become their annual cycle to Llanelli and a number of other cycling challenges around the country, they have held a golf day at Bedlington and are organising a black tie dinner in November. Their next challenge comes this Saturday (20th September) when they will be recreating their Newcastle to Llanelli ride within Asda in Ashington using four static Wattbikes kindly supplied by Mark Breeze of Breeze Bikes in Amble from his new fitness studio called Breeze2fitness. 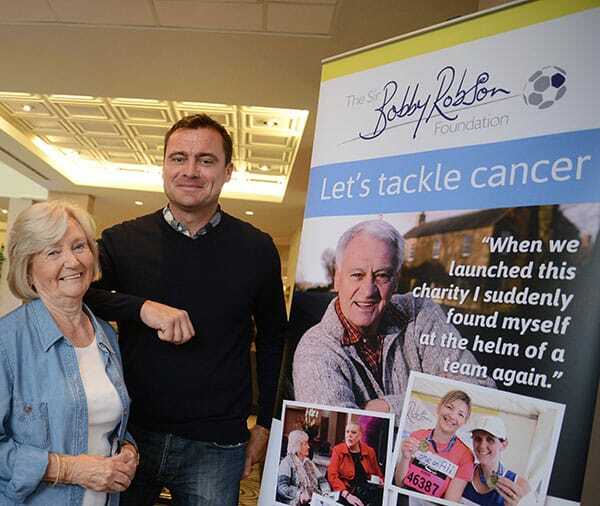 Giles met up with Alan Shearer, a Patron of the Sir Bobby Robson Foundation this week who passed on his thanks from the charity and best wishes for the challenge. Alan says: “It was a pleasure to meet up with Giles. 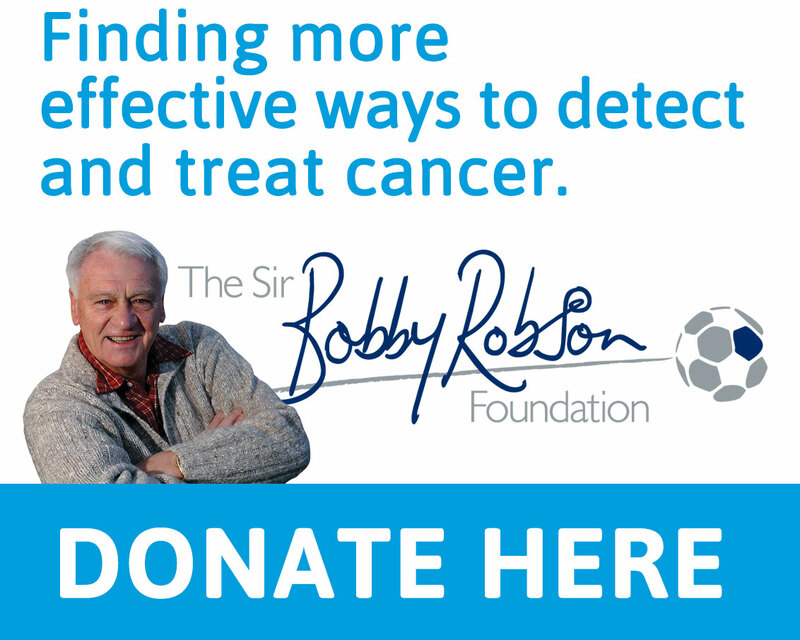 He’s done a great deal for charities including the Sir Bobby Robson Foundation in the last few years. Giles adds: “We’ll be trying to do the whole distance of our June ride in one day. That’s 452 miles which is going to be very hard but we think is achievable as a team. The Toon to Town Dinner on 29 November at the Village Hotel, Silverlink, includes speakers Mark ‘Run Geordie Run’ Allison and Invictus Games double gold medallist Andy Grant. Tickets cost £30 each and the event is almost sold out. For further information please contact Giles via email at toontotown@gmail.com or visit www.toon2town.co.uk.